In our role as a SAP support provider, Mesprosoft provides a high quality, consistent and high value support service. Mesprosoft’s SAP support covers the full spectrum of SAP functions, adjusts for peaks and troughs in demand, and goes beyond problem solving to enhance the smooth running of your entire business. High quality, complete SAP system support. 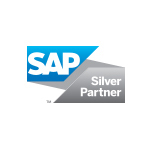 Unrivalled flexibility and SAP knowledge transfer. Issue Resolution, Custom-Code Root-Cause Analysis and Checks, Service Level Agreements, 24×7 Support Advisory, Continuous Quality Checks, Upgrade Packages and Advanced Support for Enhancement Packages. A seamless transition from your current support provider to Mesprosoft. Incorporation of latest Release Business functionalities.